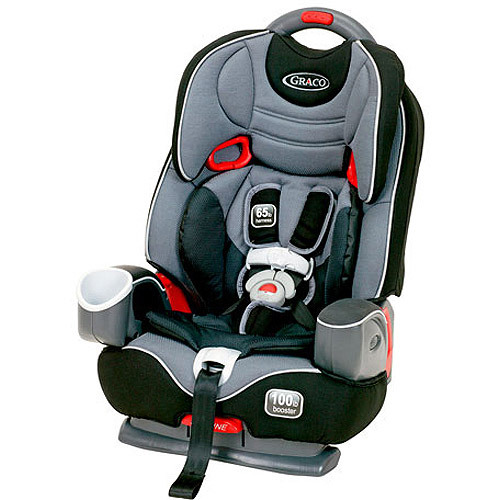 This is the summary of consumer reviews for Britax Frontier 85 Combination Booster Car Seat. The BoolPool rating for this product is Excellent, with 4.60 stars, and the price range is $195-$294.99. 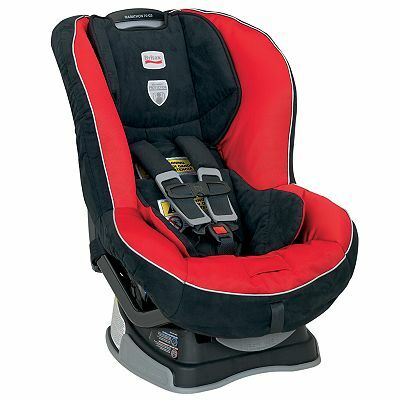 Britax Frontier 85 Combination Booster Seat is engineered to grow with you child with its 5 point harness seat capacity. 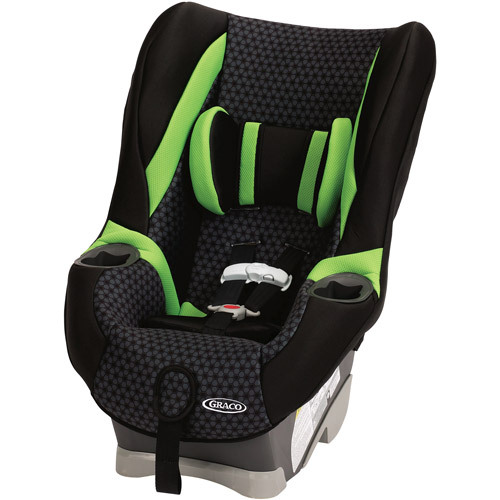 It accommodates children starting at 2 years old and 25 pounds up to 85 pounds when used as a forward-facing harnessed seat, and 40 to 120 pounds when used as a booster seat. It is available in a selection of distinctive patterns, including Rushmore, Red Rock, Onyx, Canyon, Maui Blue, and Pink Sky. 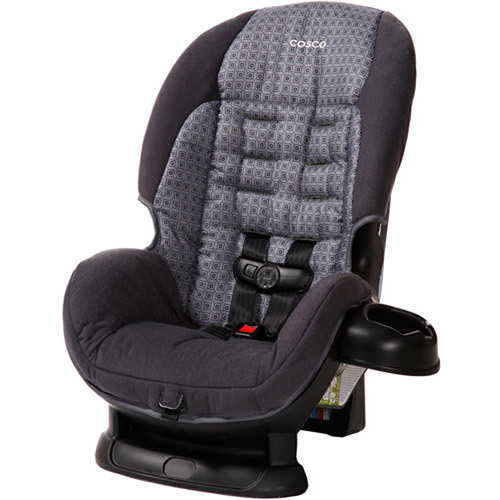 It features a plush, premium cover set with underlying comfort foam that makes for a comfortable ride for your little one. 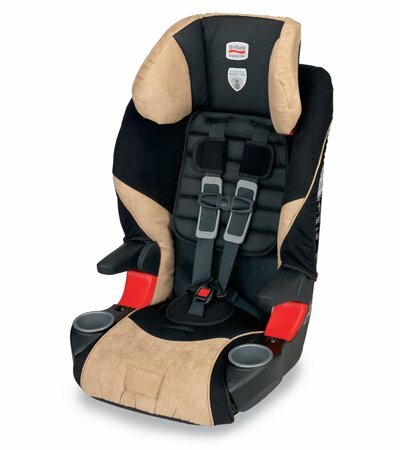 The Frontier 85 provides proper safety and posture-support for children during long car rides. In case of any unexpected intrusions it offers good side impact protection with its true patented versa-tether that introduces a staged-release tether webbing that anchors the top of the child seat at two points to minimize forward movement in a crash. 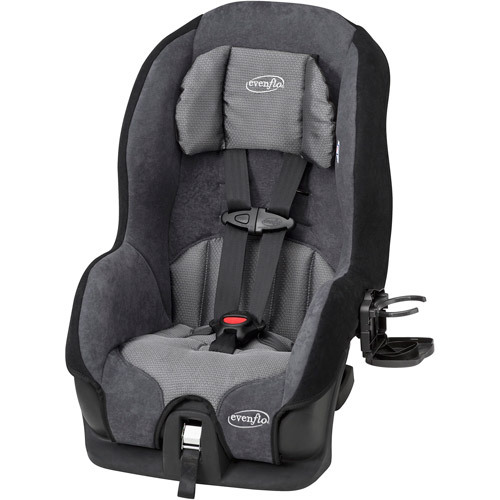 It also includes quick-adjust head restraint and no-rethread harness to easily adjust the harness shoulder height and head restraint without disassembling the harness.One of the improvements over other Britax models, that the many users have liked is the fact that the latch only needs to be tightened from one side rather than two which is a big time saver and easier to do when moving it from one car to another. It is loaded with comfort and convenient features, such as comfort foam, integrated cup holders and fixed armrests. It is the ideal seat for a child graduating from convertible car seat without compromising safety. Many users like that the booster seat's cover is easy for spot cleaning however some find it difficult to remove from the shell for cleaning up after children who are prone to car sickness. Another feature that users have mentioned is that the head positioning is better compared to other models but still the child can slump forward a bit when they doze off during a long car ride. 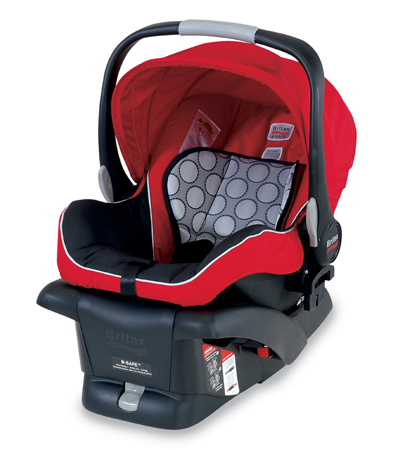 Overall, the Britax Frontier 85 is a very well constructed and comfortable seat with convenient cup holders. 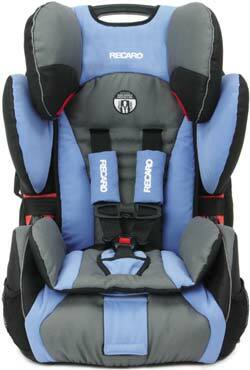 It is one of the best all around car Combo Seat that is great for long term use adapting to your growing child. Buckling in in harness mode is easy, and I may keep them harnessed a long time simply for that reason. The harness adjustment latch and strap worked very well and smooth so long as you're pulling it in the correct direction. Updating to say that I attempted a LATCH install today, thinking it'd be quick and easy - I couldn't get this seat to install well in my car with LATCH. Very easy to install via the LATCH system. 5-POINT HARNESS SYSTEM that grows with your child. Installation with LATCH - I found the belt tightening/latching sequenences really easy with this seat - as easy as my Marathon and much easier than with the Graco Nautilus and Sunshine Kids Radian 85. My daughter loves the cup holders even though they rarely hold cups - rather it's things she brings home from school, etc. The 5-point harness holds her very well, though the button to release the tightening web could be easier to use. They've "short path" and "long path", but many vehicle seatbelts aren't long enough for the long path install, and the short path install doesn't seem as secure. 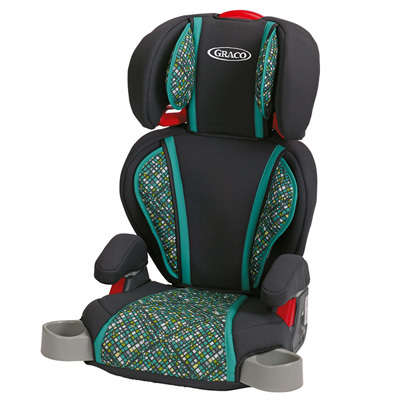 Comfort - My kids think these are much more comfortable than the Sunshine Kids seats (they complain about the belts on those being uncomfortable) and Graco Nautilus (thin padding, uncomfortable for long rides). If I loosen the car seat the strap pulls tight with no problem, but when installed properly I've a very tough time tightening the harness. Three times my daughter has loosened the straps enough to slip completely out of the shoulder harness. Let me begin by saying the adjustments (shoulder straps, crotch strap and recline) were a breeze. Belt path installation is also easy. The rear-tether strap was also easy to adjust and tighten . With installation out of the way, we went to comfort. The Frontier however, only offers 1 pull strap for both latches. I know this wouldn't be comfortable if the straps were tightened appropriately and it really doesn't seem all that safe. Also, the headrest and shoulder strap height is super easy to adjust - you don't even have to take the cover off! My son is 4.5, 36lbs, and 40 inches. I preferred a five point harness system still. out son walked away with out a scratch while the rest of us had some injuries (whiplash, neck and back sprains, concussion... and he was totally fine thanks to his 5 point harness!). I bought this product because my son with high functioning Autism who's 4 years old and weighs 50 pounds would no longer fit in a traditional 5-point harness. My son is 5 and 1/2 years old now (54 lbs)and still fits comfortably in it. At this point he even has room to pull his legs up onto the seat and sit comfortably. We recently bought the Britax Frontier for our 2 year old son, because he out grew his Britax Roundabout seat and wasn't mature enough to sit in a regular booster. Because of the 5 point harness, my son was safe in his car seat ( I doubt a regular booster with lap belt would have provided the required vertical protection in the case of a collision like ours). My son is 5 1/2 years old, and will be in a 5 point harness for as long as I can keep him there!. My son is 3 years old and 43 inches tall, he's tall for his age, he also has larger feet size 13 childrens. I read the instructions first but found it easy to install. I read 100's of reviews on this carseat and researched for months prior to purchasing this carseat for my 3yr old. He's 40 pounds and fits very comfortably in this booster. The carseat adjusts high enough for his 44in height and 47lbs. Well so far i really like this carseat. I read a lot of the reviews and found that they fit perfectly....in SUV's and minivans! My daughter loves the cup holders and arm rest. I thought the instructions were easy and it didn't take long to install. This carseat continuously makes a squeaking sound! The Nautilus looked nice and seemed to function well. The seat belt install you must use after your child reaches 40 lbs (the LATCH weight limit), and it's REALLY DIFFICULT. After reviewing the video provided on Britax website, I installed the car seat to our Nissan Murano using latch system within 5 minutes, my husband tightened the latch strap within 2 minutes, and voila, it's done! Watching the videos really helped me understand how to get a tight install with a seatbelt. I installed using the LATCH as she's still below 40 lbs. I was super easy to install using the latch in our 2001 Toyota Sienna. On the other hand, if you install this seat using LATCH system it's VERY easy to put in. I installed it in my Subaru Outback using the latch system, since the Subaru latch is rated to 60 pounds. I've installed dozens of seats in my life, and it's safe to say that I know the ropes for getting a good tight install. My only complaint with the install is that the lower latch only adjusts on one side, unlike my Boulevard, so the fit didn't seem quite as tight.